In this alternative medical practice in Coral Gables, an eastern and holistic nutritional approach is taken. 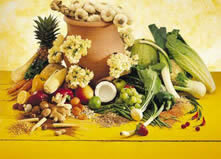 Nutritional recommendations are given to most patients in order to address internal imbalances. A slow change in diet is best in order to make changes long lasting and easy for the patient to implement. The eastern view is that foods have energetic properties, thus allowing one to add a few foods, or eliminate a few foods from daily or weekly consumption and aid their own bodies toward balance more quickly. The more a patient is involved with the treatment the quicker symptoms and their causes are diminished. Chinese Medicine looks at nutrition as a way of taking care of, and balancing the body and its energy, with the use of food therapy. Traditional Chinese Medicine describes each food by its energetics. This refers to what energy pathway it goes to; whether it is warming or cooling to the body, and what direction it shifts the energy in the body. This enables whole foods to be used to keep a body in balance allowing for optimal health. This is the same way Chinese Medicine looks at herbs and is why diet and lifestyle are important for keeping a person healthy after an imbalance has been corrected, using acupuncture and herbs. Taking the philosophy to another level Miami Oriental Medicine has hired a dietitian. Monali Zaveri is a registered dietitian and is well versed in nutrition therapy. Her background includes receiving a bachelors in nutrition in India allowing her to draw on her knowledge in Aruvedic food therapy. Her masters in nutrition from Florida International University gives her a western view in her field of expertise as well. She works with patients toward a diet that will help aid in overall health. She can aid them in loosing weight, and gives guidance to those wanting to prevent or improve chronic illnesses, such as diabetes. Her policy is to provide patients with the tools to help establish and reach their own “self-created” goals.